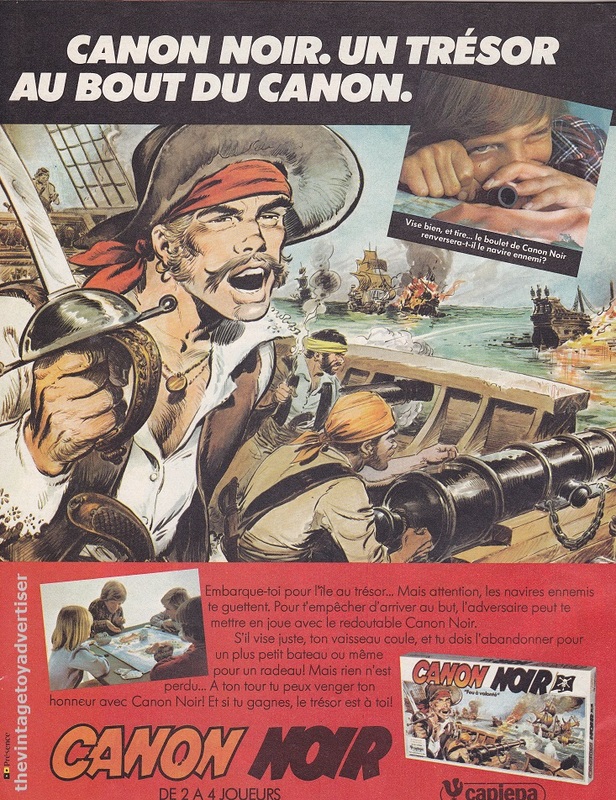 Pirate-themed board game from France. Canon Noir. 1979 Miro-Meccano catalogue page. 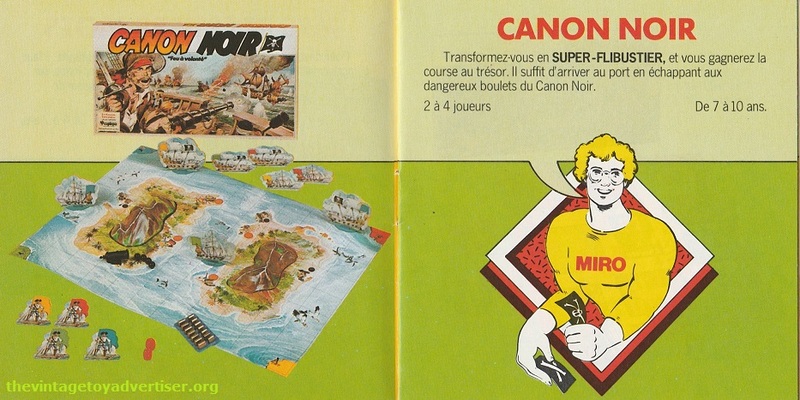 This entry was posted in CANON NOIR and tagged 1970s toys, 1980s toys, Canon Noir, Capiepa, vintage board games, vintage pirate games, vintage toy advertisements, vintage toy adverts, vintage toys on June 30, 2011 by The Vintage Toy Advertiser.